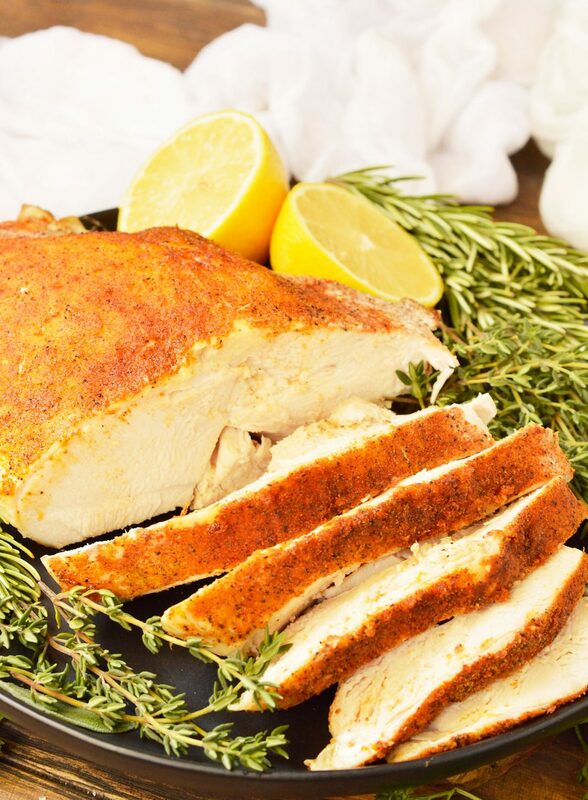 This Slow Cooker Turkey Breast is great for the holidays or as an easy dinner recipe year round! 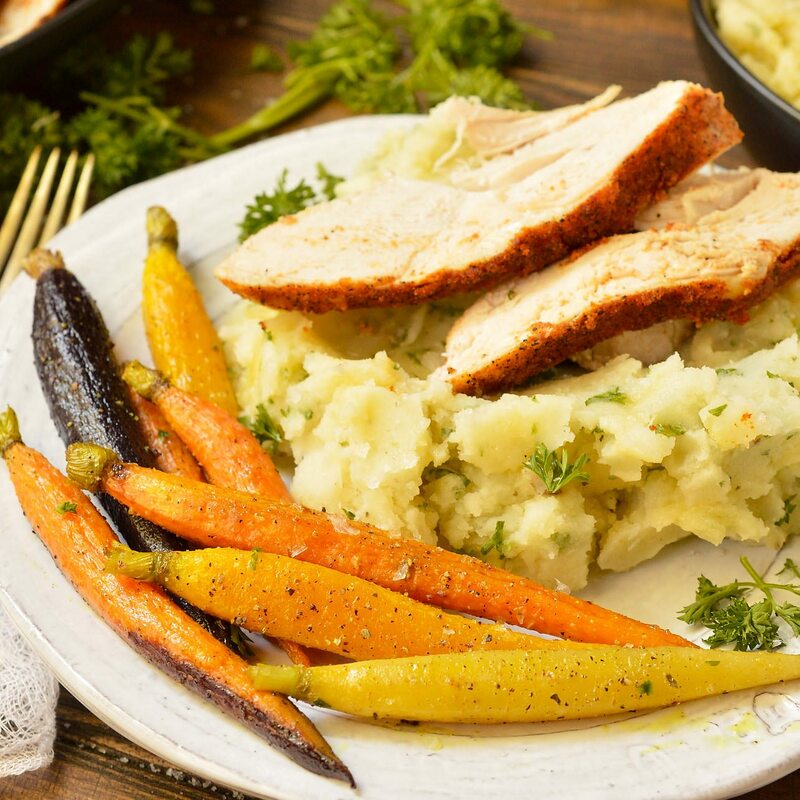 Add this to your small family holiday menu or make it as a nutritious meal. This is a Whole30 compliant and Paleo recipe. So for Thanksgiving, on a whim, I tried the Slow Cooker Turkey Breast method. I was being lazy and just didn’t want to deal with the turkey. Plus I was using my ovens for some side dishes. Imagine my surprise when my laziness brought about the juiciest turkey breast I have ever had! I wasn’t the only one that noticed, everyone made comments about the juicy deliciousness of this turkey. Beginning in January I will be shifting the focus of my recipes to reflect my healthier eating style. Don’t go running for the hills just yet! 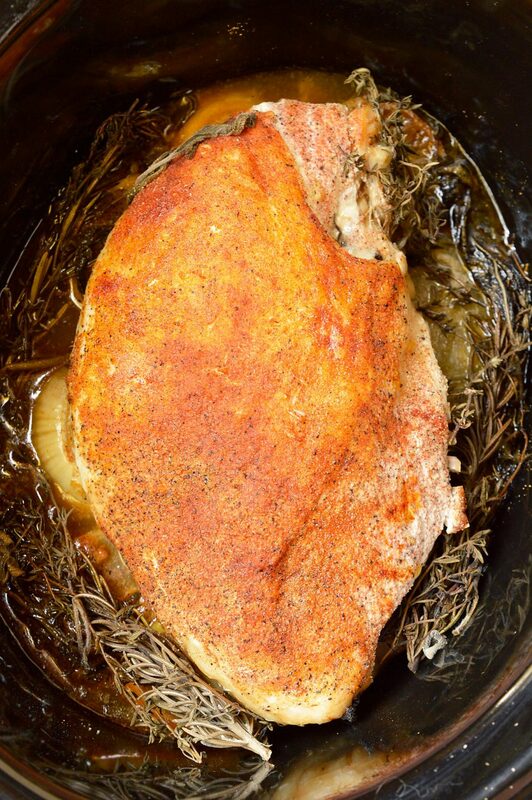 The recipes will be like this Slow Cooker Turkey Breast. You wouldn’t know this was a Whole30 Paleo recipe unless I told you. I will not be making muffins from cassava flour and monk fruit while telling you they taste just like Costco muffins. We all know that ain’t true! Basically I will be focusing on fresh, nutritious recipes that just so happen to fit into special diets. My goal is to make recipes that are quick, easy (without weird special ingredients) that you can serve to your family without them giving you any side eye. We have a small family feast so I used a half turkey breast. 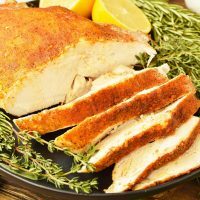 If you want to make a full slow cooker turkey breast there are plenty of recipes online, really it just requires additional cooking time. It was this turkey recipe from RecipeTin Eats that gave me the idea to use my slow cooker. I would’ve never thought to slow cook a turkey of all things. Of course, I’m not a die hard fan of slow cookers in general. The cleanup alone deters me from using it very often. But this recipe is definitely worth the cleanup! More sneaky Whole30 – Paleo recipes . . . Mix together garlic powder, onion powder, paprika, salt and pepper. Set aside. Drizzle olive oil inside a 6 quart slow cooker. Place the onions and lemons in a flat, even layer. Place the turkey breast on top, skin side up. Rub turkey breast with spices. Arrange fresh herbs around the turkey. Cook on low for approximately 4½ hours. Begin checking internal temp every half hour at about the 3 hour mark. Once turkey reaches 165ºF internal temp, remove from crockpot. Allow to sit for 10-15 minutes before slicing and serving.